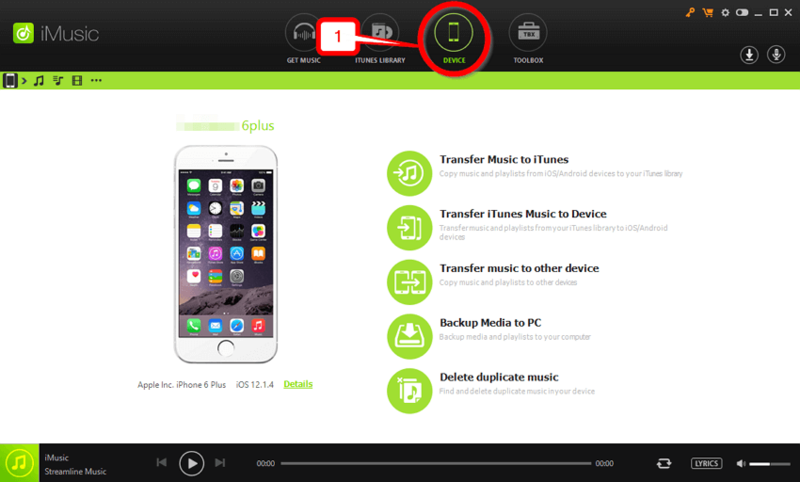 Want to learn how to transfer music to iPod without iTunes? Believe it or not, it actually is possible to do so! It’s just a matter of finding a tool that will work with you. That’s what we’re going to be setting out to do today — introducing you to seven different music transfer programs that you can use in replacement of the highly limited iTunes software. Of course, even if these programs were made with a similar purpose in mind, they’re not all going to be the same when it comes to features and characteristics! Continue reading if you want to find a music transfer software that will suit your needs the most. The first program that we’re going to be introducing is arguably the best. That is the iMusic data transfer software. 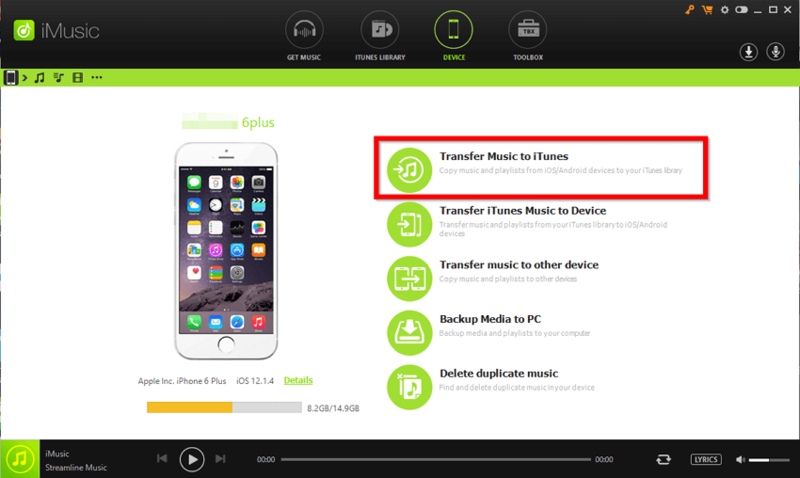 With it, you can definitely transfer music to iPod without iTunes, something that you might want to do if you are storing non-Apple Music songs on your device. iMusic is incredibly efficient at what it does, and what’s more, it offers a lot of advanced premium features that you can use in order to make certain that the transfer of data goes as smoothly and efficiently as possible! Transfer iPod songs without iTunes Easily. 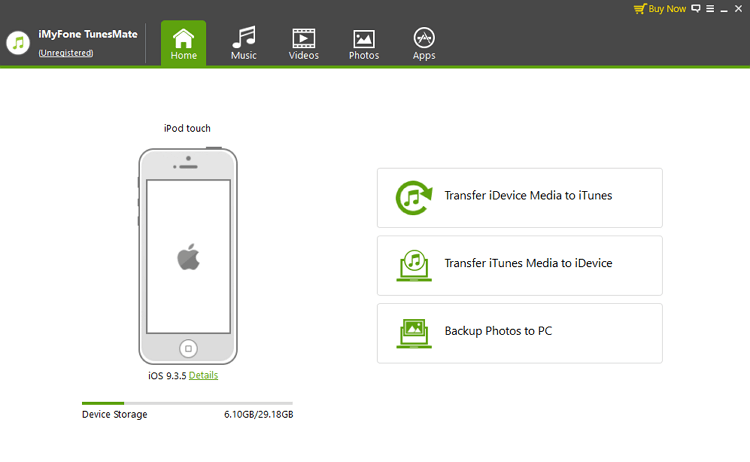 Automatic and Efficient iPod to iTunes & iTunes to iPod transfer. Full restoration of music or data available with the backup tool. Duplication of data prevented by advanced features. Premium and Advanced toolbox for managing the transfer of data. 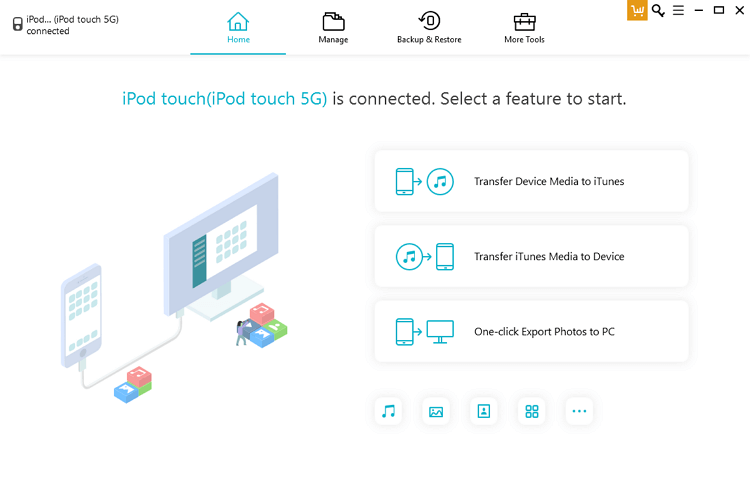 It starts with connecting your iPod to your PC (assuming that you have iMusic already downloaded and installed — you can do so from here.) Then, select the DEVICE tab on the menu at the top of the screen. There, you will be able to access what you need in order to transfer music without iTunes. A note, if this is the first time that you’re using this PC in order to transfer music to your iPod, then you might need to allow your PC access. 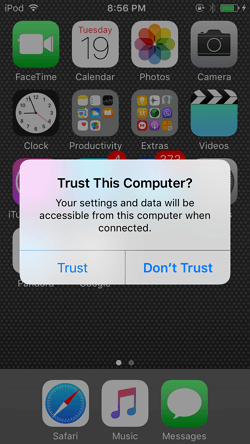 This is easy enough to do, simply select the Trust this computer option when it pops-up on your device. 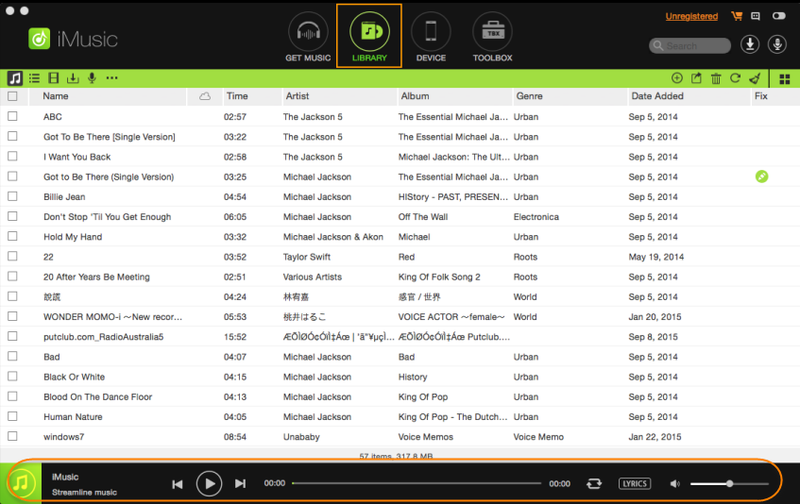 Once your PC has access to your iPod, iMusic will be able to provide the options that are available for you. There are several of them under the “DEVICE” tab. However, the one that we’re going to be selecting to transfer music to our iPod is the “Transfer iTunes Music to Device” option. 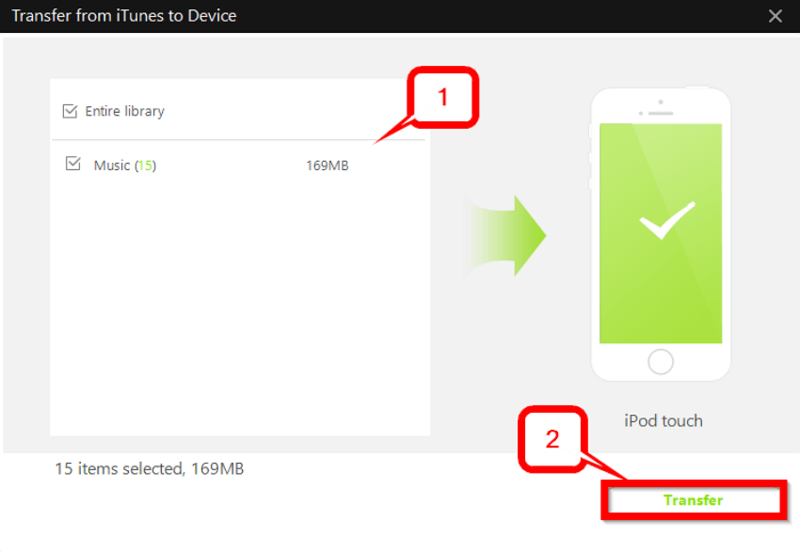 iMusic will then scan your device and your iTunes library to compare how they differ. You can choose which of these you want to transfer either by selecting or de-selecting them. When you’re done choosing which files you want to move, click the Transfer button in order to finalize the transfer. iMusic will do all of the work from here on out, so just sit back and wait for the sync to finish! Another program known for its ability to transfer music without actually using iTunes is dr.fone. It’s one of the older programs available in the market and is thus, one of the most well-known. Much like iMusic, it’s packed with premium and advanced tools that one can you to ensure that the transfer goes smoothly. However, it also offers a bit more than that — which does, unfortunately, make it cost more as a whole. First things first, you must launch dr.fone. Initially, you’ll be greeted by this welcome menu (shown in the image below.) This is not the actual transfer screen, but a menu filled with all the different options that you have. 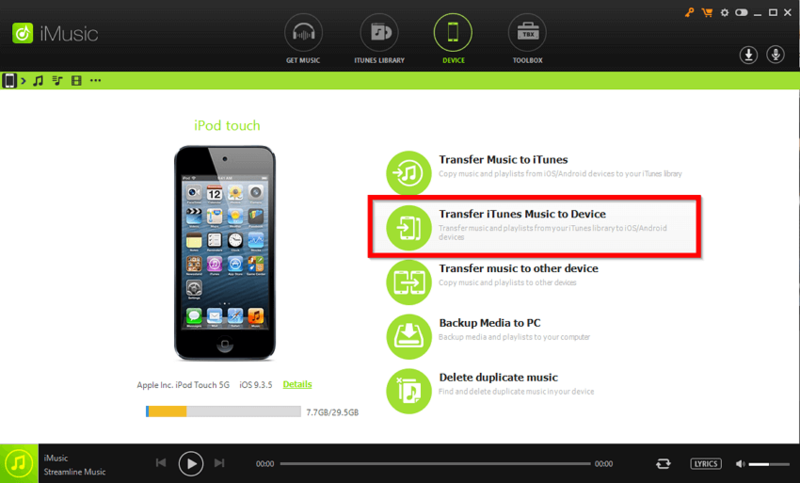 For the purposes of transferring music to iPod without iTunes, you need to select the “Transfer” option. You should then be led to a secondary screen that will look like this (refer to the image below.) As you can see, dr.fone’s interfacing is fairly similar to iMusic. You get to view your iPod on the left and your options on the right. Select the Transfer iTunes Media to Device option in order to move forward. Again, we get interfacing that is very similar to iMusic, in that you’ll be able to select which files you want to transfer to your iPod. If you want to transfer your music (playlists included) select the Entire Library box. 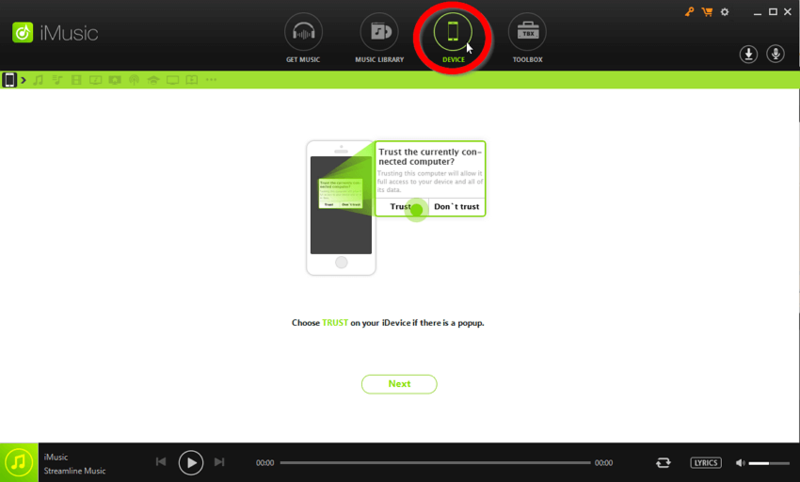 Then, finish it up by clicking the Transfer button on the bottom right-hand corner of the screen! Now that you’ve seen two different examples of music transfer solutions, let’s introduce you to a couple more! These are all very similar to iMusic and dr.fone. In fact, some even have the customary interfacing that is common in data transfer programs like this. Whatever differences any of these programs have between each other will, of course, be mentioned. As well as the pros and cons of each device. First up is iSkysoft iTransfer. There isn’t much to say about it that hasn’t already been said for iMusic or dr.fone. However, that doesn’t necessarily make it a bad thing. It does well on it’s on. It’s just a matter of design preferences and the interfacing. In any case, iTransfer doesn’t just focus on the music aspect of data transfer. Instead, it offers advanced management tools for transferring SMS, photos, contacts, etc. That may or may not be something you’re interested in, especially if you’re thinking of getting a new phone and want to back up your old settings and data. Transfer tools for music, photos, videos, contacts, apps, etc. Rebuild iTunes library complete with an older device. Then, transfer iTunes library media to the new device. It is a subscription-based program that costs $49.95 per year. Older and slower transfer software. Limited support for video and music formats. iCareFone is very similar in design to dr.fone. However, there’s no denying that dr.fone won out when it came to available tools. Of course, this may or may not matter to you depending on how you use your data-transfer software. But at the end of the day, the most important part is that it is able to initiate a two-way transfer between your device and your iTunes library — just like the other programs on this list. Direct and efficient two-way transfer between iPod and iTunes. Full restoration with backup storage capabilities. Non-music media transfer abilities (for photos, contacts, etc.) . At this point in time, a FREE trial is available. However, it cannot be used for the long-term. Instead, you will have to pay for either the subscription cost $39.95 per year or the full-license cost — which is $49.95. The interface, for such a premium price, could also have been much better. Syncios follows a similar pattern when it comes to the features and tools that it has made available. However, it does set itself apart somewhat with its unique interfacing. It’s not as to-the-point as the other programs above it — which is how it found itself at its current spot. However, that doesn’t necessarily mean that it’s a bad interface. It just might be a little difficult to navigate if you’re used to the more basic and user-friendly interface offered by most other data transfer software. Data transfer available among devices running both iOS and Android. Full data recovery for contacts, text messages, photos, etc. Extra toolkit for managing other types of data transfers. Much like the other programs, Syncios offers a FREE trial, but it imposes limits on how much you can use it until you purchase the premium version. The cost of the premium version is $29.95. There are reports that while Syncios is on-point with music transfer, it can be somewhat laggy when it comes with other types of data. iMyFone is actually pretty similar to both iCareFone and dr.fone. The only reason why it’s so low on the list is that it just happens to be one of the most basic them all. That makes it easy to use, but that also means that it’s lacking a lot of the premium features offered by more popular products like iMusic and dr.fone. Transfer iDevice Media to iTunes. 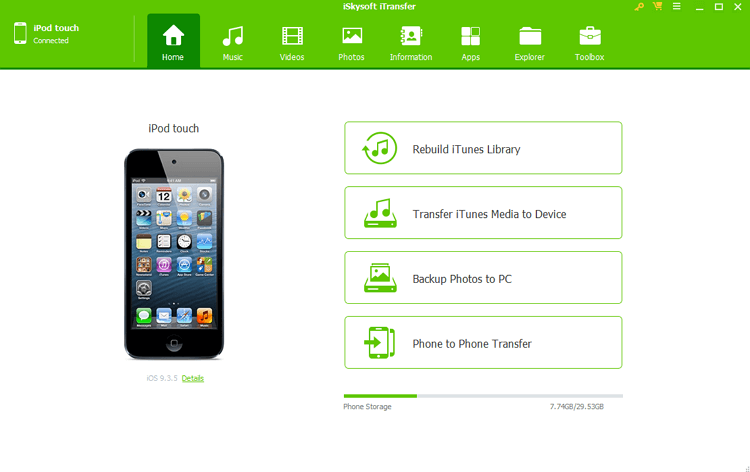 Transfer iTunes Media to iDevice. 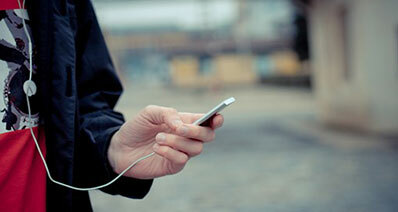 Other data transfer in the form of videos, photos, and apps. Again, a FREE trial is available, but it limits what you can do unless you get the premium version. The interface is very basic, something that you wouldn’t really expect from such a premium software. iMyFone costs either $39.95 per year or $49.95 for the full-license. Again, we have a program that uses a pretty unique interface-style with Xilisoft. Instead of providing all the tools available on spot, it separates its tools based on the types of data that you want to transfer. It might have made it a bit higher on this list if it cared more about user-friendliness. However, that doesn’t make the program impossible to use — just difficult for beginners or people who don’t transfer data often. Offers a variety of data transfer tools. Efficient two-way transfer between iPod device and iTunes library. 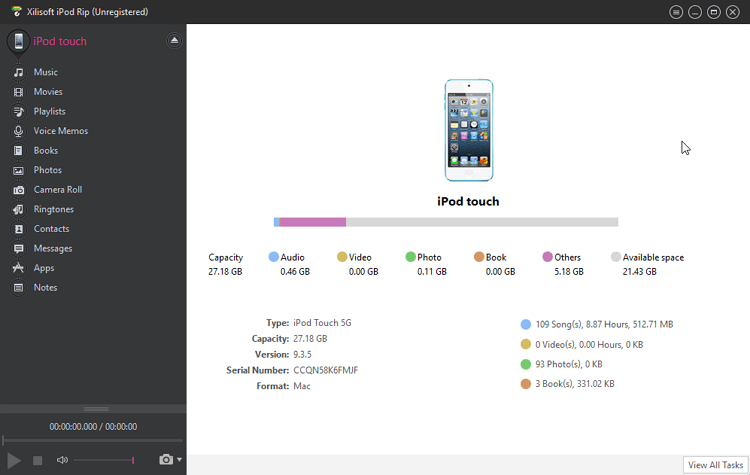 Quickly scans of iPod data to prevent duplication . A trial is provided for prospective users to test out its features but it’s incredibly limited. The full cost of the program is at $29.95. There are certain file formats and devices that it does not support completely, which prevents it from being completely convenient. Conclusion: That concludes our introduction to 7 useful solutions for transferring music to iPod without using iTunes! Hopefully, we were able to point you in the right direction. However, if you’re still undecided about which method you should use, we recommend trying out the iMusic data transfer software first. It’s undoubtedly the most intuitive program available in the market right now.